Scots spend an average of £244.78 a month because they’d rather ‘spend more money and have more time’, according to a new study. From Uber to ‘Laundrapp’, as more handy services become available to help with the time constraints of busy lives, research reveals many are shelling out for tasks they could easily do themselves. A study by TopCashback.co.uk, reveals Scots are spending £2,937.36 a year on basic errands including pet walking, laundry washing, home cleaning and car washing, because they either are too busy or feel too lazy to do it for themselves. More than three quarters (76 per cent) of slothful Scots admit to being too lazy to cook from scratch, choosing instead to spend an average of £30.06 a month on takeaways. The research also reveals car owners spend an average of £8.58 on car cleaning services each month. Residents also own up to taking taxis for distances they could easily walk, costing them a monthly average of £19.32. The study also shows an increasing amount of workers don’t prepare packed lunches, which sees them forking out an extra £32.69 each month. When quizzed about how much money they spend on beauty treatments Scottish residents say they spend more than £300 a year (roughly £25.63 a month). Although more women (35 per cent) admit to splashing their cash on pampering, spending £26.36 a month, a surprising five per cent of men say they spend £17.50 a month on their male grooming treatments. 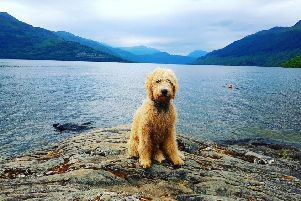 Pet owners admit to spoiling their beloved pooches with grooming treatments and pet walking services that add an average of £36 to their monthly expenses. However, the research found only three per cent of Scots are insistent on putting their feet up once at home, but those who do shell out an average of £76.67 on private cleaners each month. The rise in popular laundry apps and services sees residents spending a staggering £15.83 a month so someone else can wash their dirty clothes. Natasha Rachel Smith, Consumer Affairs editor for TopCashback (www.topcashback.co.uk), said: “Some people consider money to be their most valuable currency whereas others view it as time.